The British government said on Thursday it was giving the green light to a controversial new nuclear project at Hinkley Point after Prime Minister Theresa May ordered a review. “Having thoroughly reviewed the proposals for Hinkley Point C, we will introduce a series of measures to enhance security and will ensure Hinkley cannot change hands without the government’s agreement,” Business Secretary Greg Clark said in a statement. Beijing calls for British nuclear project financially backed by China to proceed. The board of French state-owned power company EDF approved its participation in the project in southwest England on July 28, only for Britain’s new government under May to announce hours later that it wanted to review it.China has a one-third stake in Hinkley Point and analysts have warned that Britain would have risked its relations with the world’s second-largest economy if it cancelled the costly deal. For every five pounds spent by a Chinese tourist in the United Kingdom, just over one quid is spent at upscale department store Harrods. No wonder, then, that company managing director Michael Ward is in Shanghai this week, hoping the hoopla around Britain’s Prince William’s four-day visit to China will bring even more Chinese shoppers through Harrods’ doors. “It’s a hugely important part of our business,” Mr. Ward told China Real Time Tuesday. He said such tourists would become increasingly important as outbound tourism from China takes off. Hong Kong brokerage firm CLSA expects the total number of Chinese outbound travelers to hit 200 million annually in 2020—that’s around double last year’s figures. Mr. Ward declined to share specific figures for Chinese tourists, but he said by nationality, they top the league of store visitors in terms of spending. By contrast, Americans barely scraped into the top ten—far behind shoppers from countries such as Nigeria and Thailand, he said. 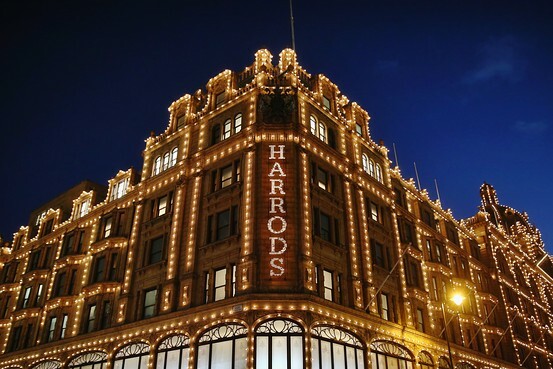 While Chinese tourists may top the list of spenders at high-end Harrods, a report issued last year by British bank Barclays saBCS -2.61%id Chinese tourists ranked tenth in terms of tourist spending in the U.K, spending around £550 million in 2013 (around $850 million),. Barclay’s forecasted that by 2017, Chinese tourists would have moved up to fifth place with annual total spending in the U.K. in excess of £1 billion. Still, the chilling effects of China’s current economic woes are being felt in faraway Harrods of London. “This year we’ve seen a much slower takeup,” said Mr. Ward. via Harrods Hopes Prince William Hoopla in China Will Bring a Boost – China Real Time Report – WSJ.